This is a straightforward visual novel, so there's no walkthrough necessary. 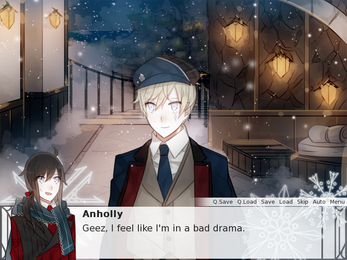 Anholly: The protagonist. A bubbly girl who makes the best of her situation. Sometimes pretends to be more cheerful than she actually is. 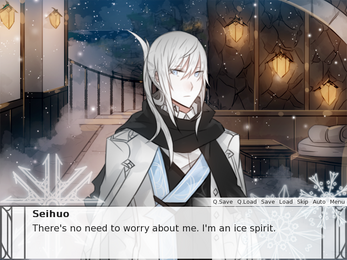 Seihuo: The dying ice spirit who meets Anholly. He seems to be cold and emotionless most of the time, but he thinks a lot to himself. Very sarcastic. Riov: Anholly's childhood friend, and only friend. He's young but quite mature, though he is lacking in social skills. If you had the original 1.0 version, loading your old saves will create several errors in the game. SImply delete or save over with new saves and everything will work out! If you have any other errors with the game, please let me know at batensan@gmail.com with a screenshot if relevant and I'll get to you soon! This game is free, but I always accept contributions in the form of donations and compliments (especially compliments) ☆ Enjoy the game! WHy must you make such amazing games? I thoroughly enjoyed this one, even with less choices and all that. The music and artwork are on point again. I enjoyed the ending, it's not the classic ending, but I still found it to be a happy one. Love the story and the characters and can't wait to see more of your work! Thank you Author so much for making this game, definetly my favorite game. The ending made me cry so much, mostly for Riov, felt so bad for him. HOW DARE YOU MAKE ME CRY LIKE THIS!!! I love this game so much!! its amazing! Your games are just so funny, I love them! Oh, I don't, actually! Mostly because I think my programming is super messy and ghetto ahaha (I know little to nothing about programming and just improvised most of it), but if there's a specific part of the game that you want to know how I did, I'd be happy to show you! I just wanted to say, your games are absolutely beautiful! I remember playing this game back a couple years ago, and I just spent a couple hours trying to find it again; totally worth it! You're a real inspiration for Renpy, and I'm off to bookmark this, and play again and cry some more... this is amazing, and I can't lose the name of this game anymore! Augh, I knew this was going to be sad going in, but the ending still got me! The music was lovely and your art was stunning as always. I only wish we got to spend more time with Anholly and Seihuo because <3 <3 <3 This has made me super hyped for Melanie to finally release though! I'll just casually ignore MY HEARTBREAK AND TEARS. So.. I'm floating in an ocean of tears.. This story was so bittersweet, it's one of the few times I really felt connected to the main character. Bravo for making me cry every single time and somehow making me laugh at the same time..
Do you have any plans for this game to have voices for the characters? And if so, would I be able to audition? Hi, could you send me an email at batensan@gmail.com with a screenshot of what you're clicking on when you get that message? I was drowning in the sea of emotions. This was totally different from Ciel, where you get to choose between three boys. This is more to story-telling. I love it of course, because it was so funny. I love good humour. 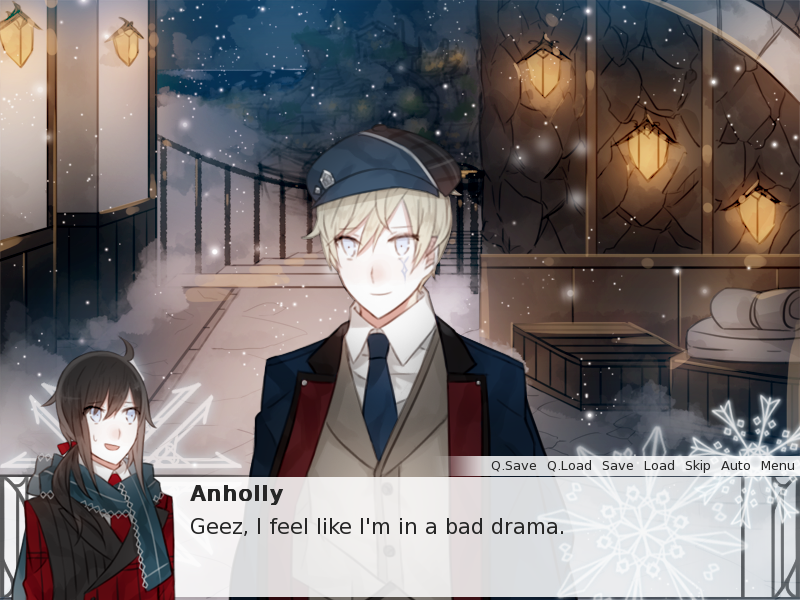 What I know is that I seriously ship Anholly and Seihuo. I love Anholly for bein strong. But holding things in can be a burden as well. I'm sorry I can't say much, I should've write this right after I play but I was in the middle of things and stuffs so, yeah. But seriously, I love you for making my day. I really had a good laugh with the puns, with how Riov, Seihuo, Anholly and Veltaire act around each other. 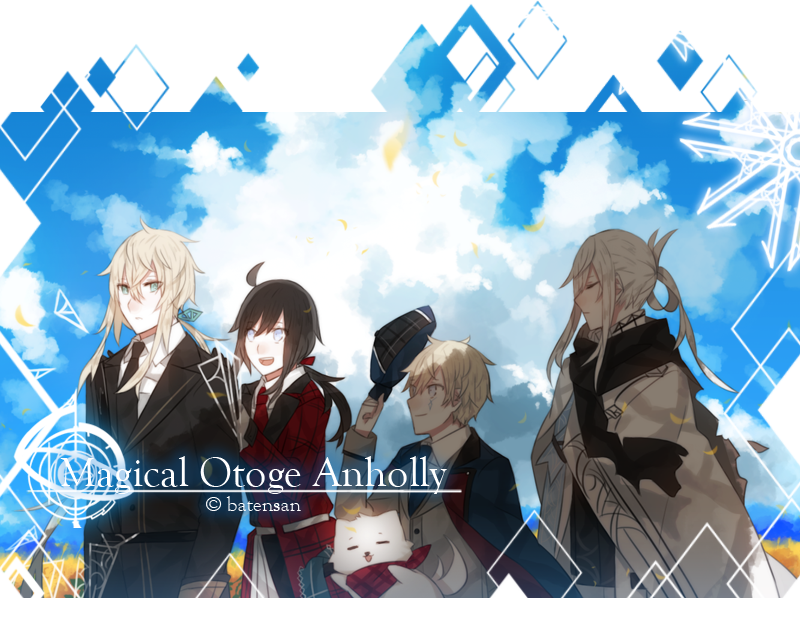 (Finally able to express my thoughts on this game,couldn't before)To start of; story,art,humor is on point.I actually felt compassion for these characters (that I've only played overnight) especially anholly and seihou 's deaths.Looking forward to the rest of your series Batensan ^^ !! I really love it, story, art work, everything is too awesome! 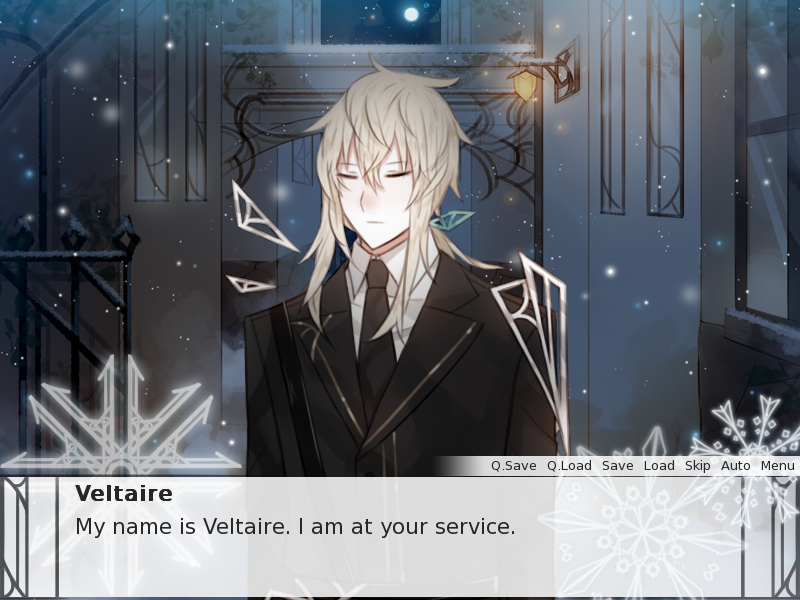 I can't wait for Magical Otoge Melanie! Great job! I loved it! The ghosts from the last game tho...lol. ah this made me cry... great story Batensan! Thank you! I'm not too sure as to what will happen, but yes, at the moment I'm planning for MO Melanie to be released after Iris. I loved it nonetheless, thank you for making this amazing game!!! AAAH my heart! I just finished this game the FEELS I'm so sad but so happy this was beautiful!!!!!! 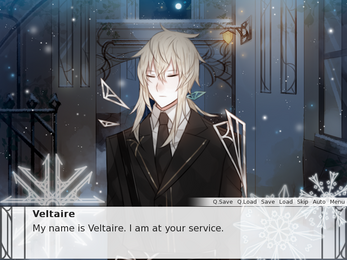 batensan you are truly an artist can't wait for magical otoge Melanie!!!!!!! the art work looks awesome, did you do it yourself?. For the guy, i like Seihuo a lot, the way he act, the way he thinking and a specialy when he try make joke and get jealous, event with slime XD. I appreciate it when you bring the ghose back, and that spotlight remind me when Anton make a joke. Thanks for taking the time to message me! Don't worry, your English is fine. I'm glad you enjoy my work! But I want to make it clear that I don't make characters for the audience; I do it for myself and my own sake, so telling me what kind of characters to make unfortunately won't make a difference in what I do! Thank you for understanding. I'm glad my english is fine. Oh, don't worry i'm understanding it, because i love your work over all XD. Beside people sure have they style indeed. You're a good writer and artist. I'll waiting for the next MO, I wish you always healthy dan happy. That aside, this game was very beautiful and colorful in so many ways, I'm actually satisfied with this bitter sweet outcome, (no I'm not, where's Riov), And I wish you luck on the sequel! ^3^ I'd be sure to play it, haha. The music- the art- I feel like I could die happy. I'm glad you enjoyed it! Anholly's actions after the end of the game are supposed to be a bit ambiguous so I dunno, if you want to say that she waits for Riov, you can ;O There's your Riov route. It was a very sweet game and the ending caught me off guard quite a bit. My only wish is that you would have done more with the "Because I love you" line in the end there, and my only hope is that we get to see Anholly and Seihou again, and I don't just mean their reincarnates. I love your work and in MO Ciel I particularly fell in love with Yvin and I honestly have to say that his ghost scene in the main paths was brilliant! Anyway I just have to say that I adore your work and I can't wait to see the next installment to the MO series though my trust for you rests precariously atop a tree branch and if your not careful Ven might just pull it out of said tree. Haha but seriously keep doing what you're doing and "No but's. Never but's." And don't worry, in Magical Otoge Melanie, there's going to be an extra where Anholly and Seihuo cook together! It'll be fun! And you shouldn't trust a villain like me, heheh! Other ghosts except Steve: SICK GAME BRO!!! I absolutely adore your games! I'd dare to say they're one of the best ones I've ever played with awesome plot and great characters. I'm playing this game right now and I love it as much as Ciel. Keep up the great work! I loved this so much, the art style. the story line, everything. It was beautiful! Please keep creating such amazing work! Thank you! I'm glad people remember Magical Otoge Ciel enough to realize the connections, haha! There are a ton of connections with Magical Otoge Melanie coming up, so I hope you enjoy those, too! thank you very much for making this game, i adore your work! i cant wait for next magical otoge. Viking-like laughter!!! Thank you so much, haha! Thank you for your kind message and support! <3 I'll die before these puns do.